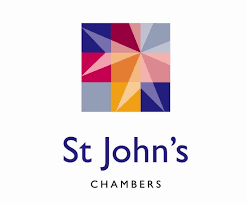 St John’s Chambers’ Personal Injury and Clinical Negligence team invite you to their interactive workshop and seminar. Aiming to bring junior lawyers up to speed with the latest legal developments and equip them with the tools required to succeed in this area of practice. The seminar will include two main plenary sessions and two parallel sessions followed by a panel style question and answer section where you will have the chance to address any queries with our diverse range of barristers. St Johns are offering a discount to Bristol JLD members. Book your place here.